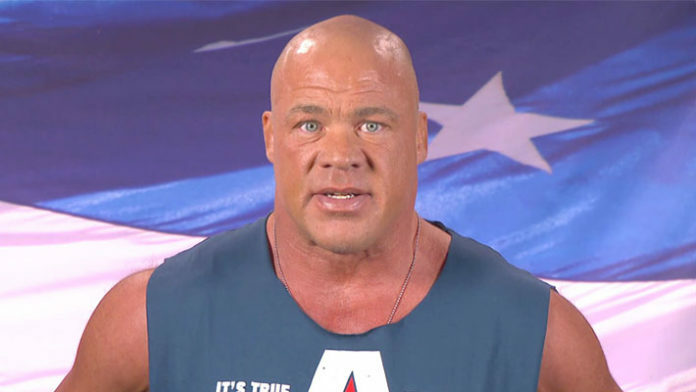 While we still don’t know who Kurt Angle will be facing in his farewell match at WrestleMania 35, the talks of what he will do afterward have already begun. Angle recently held another Q&A session from his Official Facebook page, and he answered questions related to continuous touring, recognizing John Cena as a star and more. Kurt Angle announced on this week’s episode of Raw that he will be competing in his farewell match at this year’s WrestleMania 35 event next month. At this point, there is no solid word on who he will be facing in the bout but the rumored names include the likes of John Cena, Baron Corbin and more. There is no word yet on what Angle will be doing after the show but as he points out, it’s more likely that he will stick around WWE fulfilling a backstage duty rather than going anywhere else.